For the month of February, let the January detox worries be gone as 2018's most romantic month of the year sweeps you off your feet. February is the month of passion, indulgence and a glass half full. Enjoy! This cafe's got it all: an a la carte food menu inspired by the kinda food coming out Sydney, Melbourne's and New York's best cafes; a curated selection of craft beers and low intervention wines; and, of course, Taylor St's world class coffees. There are always 3 single origins available on drip filter, as well as 3 options for espresso. You're spoilt for choice at this Taylor St on Southampton buildings. Open Monday to Friday, 7am - 7pm. Aquavit London offers Nordic-inspired cuisine with a contemporary twist, and provides all day dining as well as a bespoke aquavit trolley. The restaurant was awarded a highly coveted Michelin star in October 2017, less than a year after opening. For breakfast, Aquavit offers a selection of unique dishes, including Raggmunk (potato pancakes), bacon and ligonberries and smoked eel benedict. Enjoy your breakfast with a Nordic take on a Bloody Mary - the Viking Breakfast - which includes Aquavit, tomato juice, soy sauce, balsamic vinegar, dill, horseradish and spicy mix. Park Chinois is a decadent restaurant and entertainment venue based in Mayfair, London. Inspired by the sophistication of yesteryear and the glamour of 1930s Shanghai, the venue specialises in luxury Chinese cuisine, live music and immersive entertainment. From 27 January – 15 April this year, Park Chinois has partnered with the neighbouring Royal Academy of Arts to offer its diners a chance to view the highly anticipated Charles I: King and Collector exhibition. 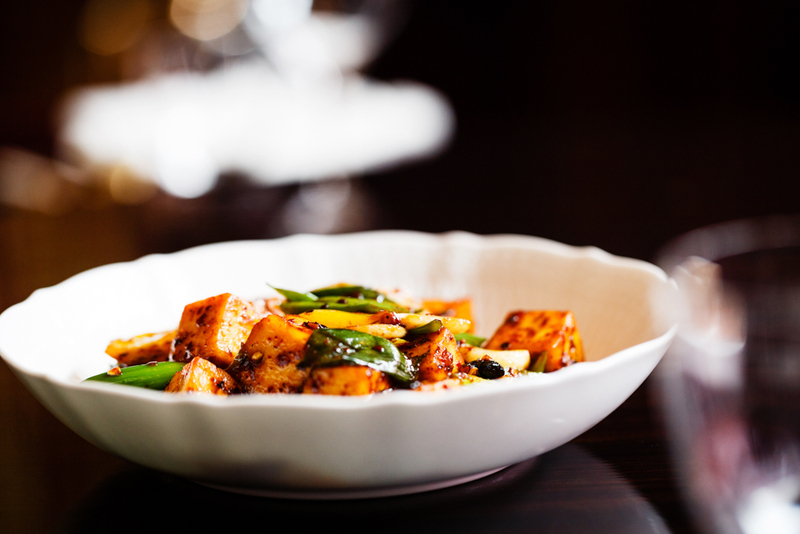 In this time period, Park Chinois will be offering guests the chance to enjoy a two or three course gourmet lunch followed by entry to the exhibition with prices starting at £42.00 per person. Please click here for the lunch full menu. We recently ventured over to Sketch for an exquisite afternoon tea in The Gallery, the famous pastel pink dream world designed by world-renowned India Mahdavi. With more teas than I have ever witnessed on a single menu, tea lovers at Sketch are sure to be wowed (Rose and Jasmine Pearls were beautiful). 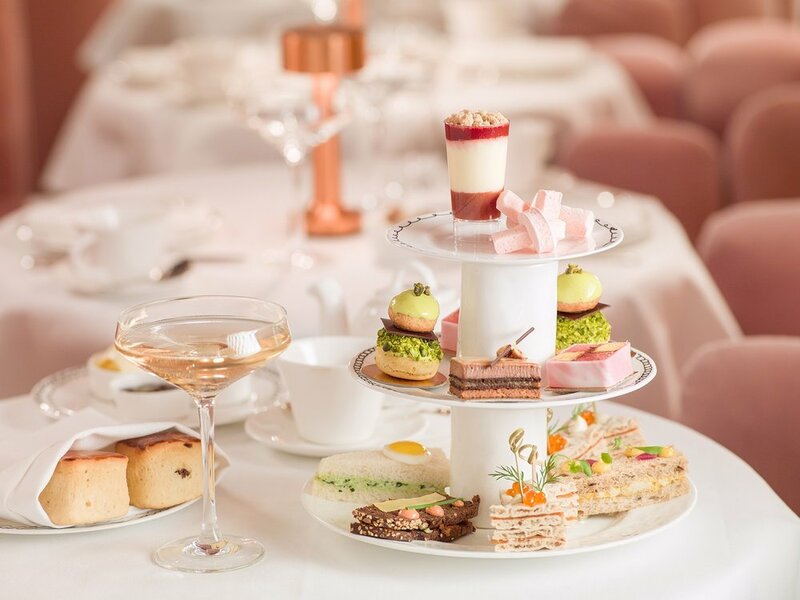 An alternative and experiential afternoon tea is presented in an explosion of fun and colour, comprised of caviar and quails eggs with compte ‘soldiers’, a selection of non-traditional and beautifully shaped sandwiches and flavoursome cakes that look too good to eat. Pink Pommery champagne completes the experience, even the manliest of men will float off on a Marie-Antoinette-esque dream cloud of love. Simple yet stand-out, radical yet refined. Restaurant Ours brings the outside in to create an unexpected space hidden in the heart of Knightsbridge. Unpretentious, effortless and elegant with a nod to retro chic and possibly one of the most snapped bathrooms in London! Just launched: a mouth-watering brand new menu with delectable dishes such as venison tataki, blackened miso salmon and skewered monkfish along with old favorites like truffle tagliatelle and salted caramel donuts. Definitely one to add to your list. Restaurant Marianne opened in September 2013 to critical acclaim. Only 14 seats, the restaurant specialises in beautifully light, tasting menus. Marianne Lumb herself is the executive chef, cooking seasonal food from the best European markets. Ingredients are sourced very carefully and the restaurant scored highly in the Good Food Guide for the UK, in at number 33. Please click here for the full menu. The creative team at Artesian, The Langham, London’s celebrated cocktail bar, has launched an exciting new menu. Head bartender ‘Cause, Effect & Effect Classic Cocktails’ is an interpretation of some of the world’s most iconic drinks, as well as a rediscovery of some treasures from the past. This new menu invites the sophisticated drinker to experience an entirely different take on well-loved cocktails, creating and revealing new facets, flavours and emotions within them. The fourteen different drinks served cost from £17-£22.